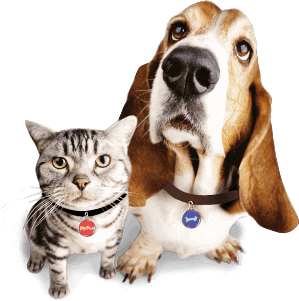 A collar with a current personalised pet tag is great, but a missing poster will help bring your pet home even faster, since other pet lovers will be on the lookout in the event that they spot your pet wandering around the neighborhood. large lettering that says “LOST CAT” or “LOST DOG,” visible from a distance of 20 feet. A description of the pet’s general appearance. List the name that you actually use to call the pet. If your pet’s “real” name is Madison, but you call her “Madi”, list “Madi” as her name on the poster, as your pet needs to respond if someone calls her! Also, keep one specific, identifying mark or trait private. 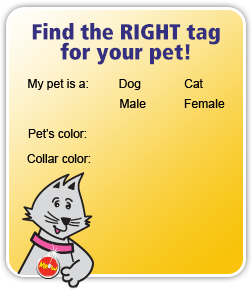 You can use this information to confirm that a caller has found your pet. Print at least 20 posters per pet. Place the posters in plastic sheet protectors and use duct tape to tape the opening closed. This will protect the poster from the elements. If you must place the poster up on a thin pole that’s narrower than the width of the poster, place a piece of cardboard behind the poster (inside the plastic sleeve) so it doesn’t flop over. Missing posters will help bring your pet home quickly! 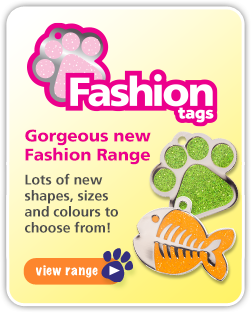 And you won’t waste valuable time making posters when you should be searching for your pet!